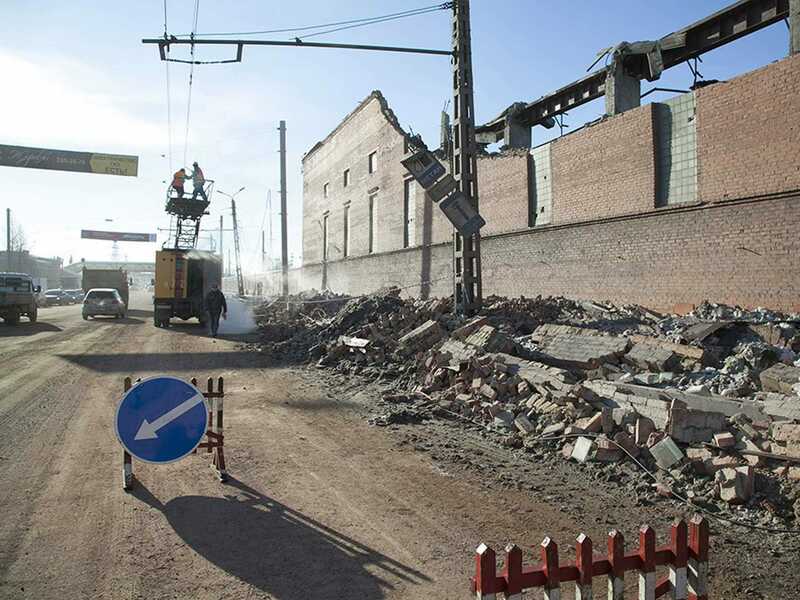 In this photo provided by Chelyabinsk.ru municipal workers repair damaged electric power circuit outside a zinc factory building where the roof collapsed. 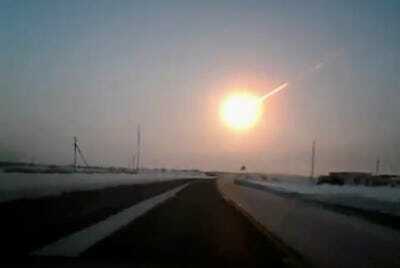 A meteor that exploded in the skies above the Russian city of Chelyabinsk alarmed villagers last Friday morning. As the meteor burned up in the Earth’s atmosphere, it sent down a shockwave that broke thousands of windows and knocked out power. 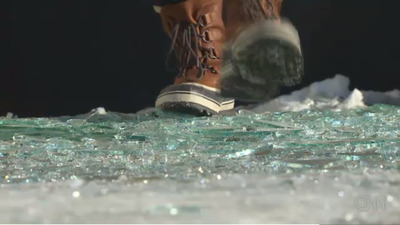 More than 1,000 people were injured, mostly from hurtling pieces of glass. Scientists say it was impossible to detect the meteor because it came out of the daytime sky and telescopes can only see asteroids during the night. Officials have estimated the damage at more than $33 million. A number of reporters were on the ground in the aftermath of the once-in-a-hundred-year event. They documented resident’s reactions to the giant fireball and cleanup efforts. 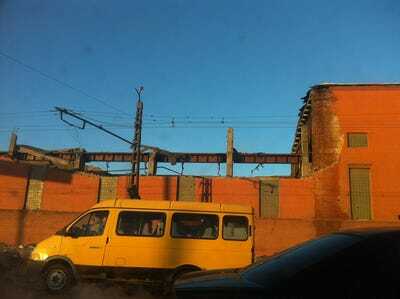 The meteor, the largest reported since one hit Tunguska, Siberia 1908, exploded over the Russian city of Chelyabinsk on Friday morning, Feb. 15, in that region. 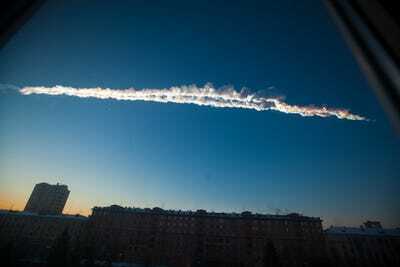 It's trail was visible for about 30 seconds as it streaked through the atmosphere before it exploded in the air. This student told CNN that he initially thought it was a terrorist attack. 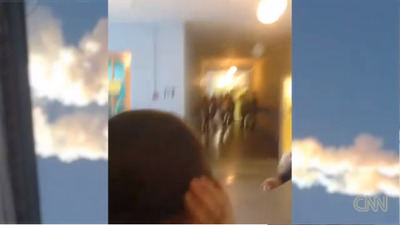 There was mass panic inside the school, with students scrambling everywhere. You can hear the large explosion in this video around the 1:10 minute mark. The explosion sent down a shockwave down that shook everything. It blew out thousands of windows. 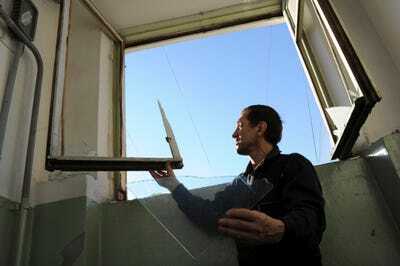 Most of the injuries were from pieces of glass that were sent flying through the air. 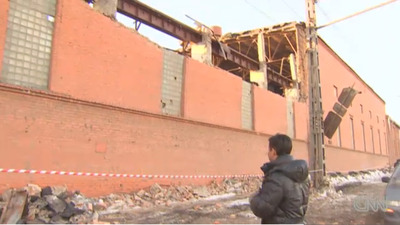 The roof of a zinc factory also collapsed. And knocked over brick walls. The cleanup is already well underway. 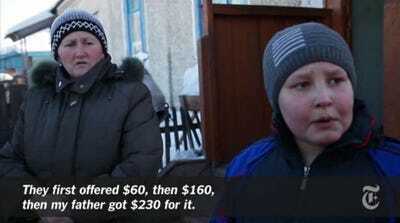 It's going to cost more than $30 million, according to Russian officials. Children are combing through snow and ice to recover fragments from the meteor. The pieces of rock can fetch thousands of dollars. Many villagers have already sold their stones for much less because they're afraid the police will take them. Others are holding on to the space pebbles, storing them in everything from plastic bags to match boxes. 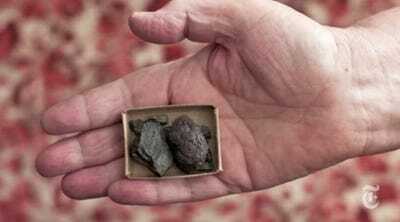 The stones appear black or brown because they're charred from the explosion that broke up the meteor. This makes them easy to spot against the white snow. 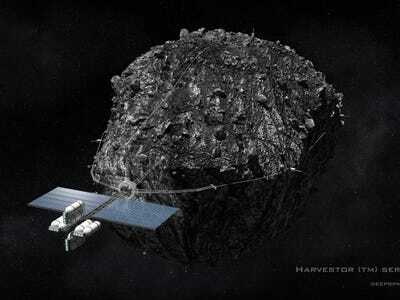 Asteroids are worth a lot of money.